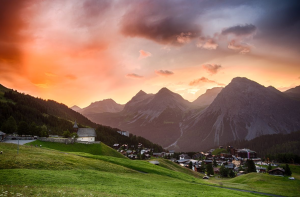 Apart from eating cheese fondue and spending all your time shopping for Swiss chocolates, there are five alternative cool things you could keep yourself busy with when you are visiting Switzerland. 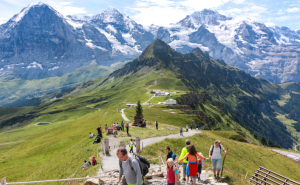 One of the most rewarding and fun things to do in Switzerland is to hit a hiking trail. 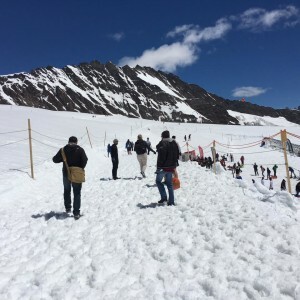 There are so many trails to choose from, it’s cheap and will give you photos and memories to get nostalgic about when you nibble on your Swiss choccies back home. 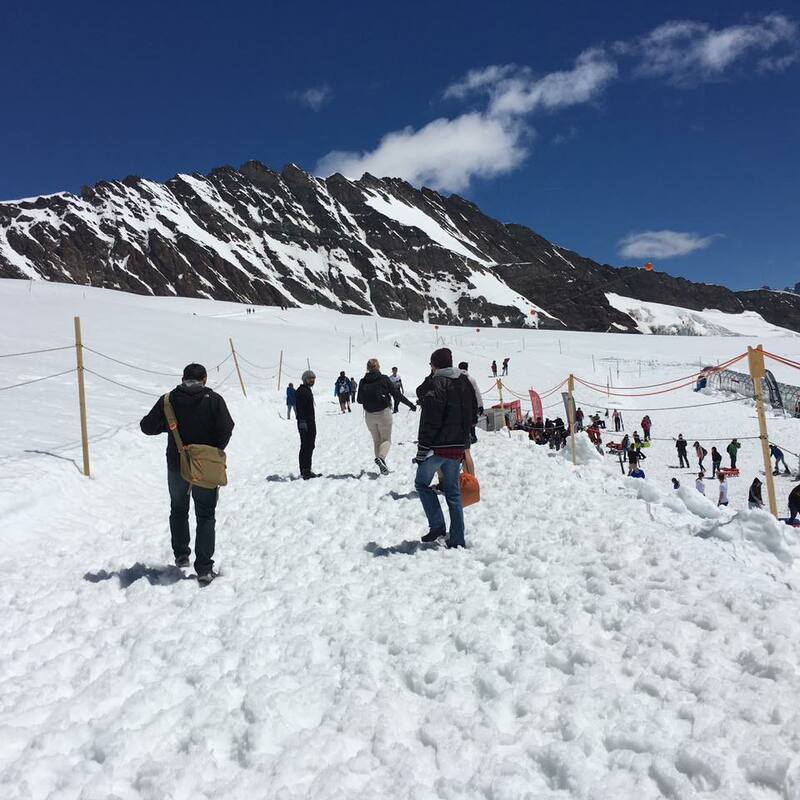 But why not spice up your hike by trekking with a llama if you’re in the Jungfraujoch region? Not only is a llama a cute, unusual addition to any hiking party, but it also acts as a mobile storage unit. Nifty. You may not know it, but summer is actually the high season in many parts of Switzerland, for example, Interlaken. 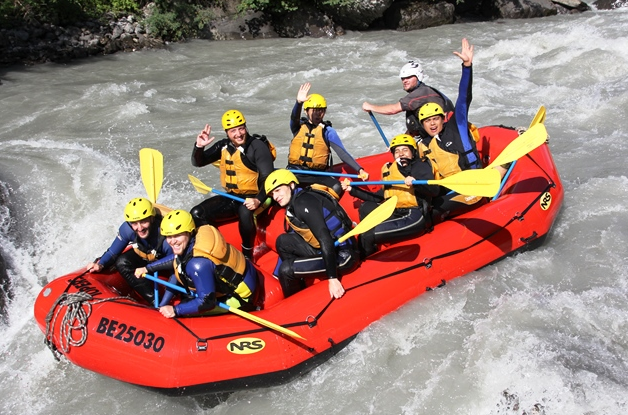 As the sun melts the snow on the mountains the rivers and gorges fill up masses of white water – perfect for rafting and canyoning activities. If you’re one for a bit more adrenaline-inducing activities, we’d recommend taking on the Lütschine River’s class III-IV rapids on a white-water rafting expedition in the Grindelwald valley. While that’s all fun and games, everyone needs to sit back and relax at some point on their holiday. 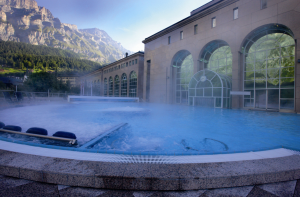 We can’t think of a better way than by lazing the day away in a thermal bath and spa, preferably surrounded by views of mountains. Not like that. 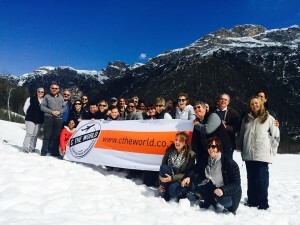 Get high as in 3,454 meters above sea level at the highest railway station in Europe, located in the Jungfrau Region. Some say that on a clear day at the station platform, you could even see as far as Italy, Germany, and France! The Jungfraujoch train winds around the towering Eiger and Mönch Mountains, snaking its way past Eismeer and Eigerwand stations, all the while leaving your mouth hanging open at the awe-inspiring views. The beauty of Switzerland is certainly in the eye of the beholder. And while it’s a definite must to plan to go sightseeing, skiing, river rafting and all the rest of it, something that’ll no doubt solidify this glorious place in your memory is watching a sunrise. Find out from local where there are great viewpoints, get up bright and early, grab a cup of coffee, and head out to mindfully appreciate this stunning piece of the planet.